From the Split Rock Lighthouse we traveled on the North Shore Drive (61) to Gooseberry Falls State Park.. 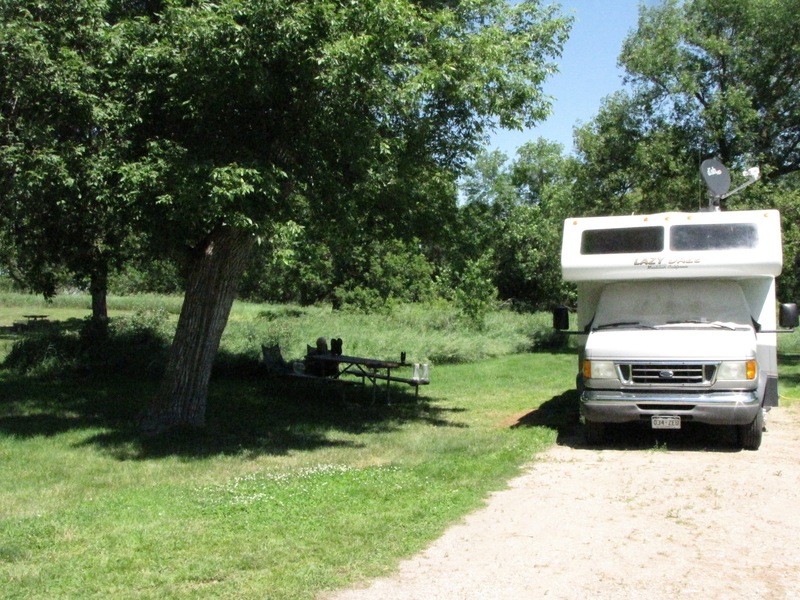 The campground is really nice – big spots, nice showers, but no hookups. We hiked to Gooseberry Falls, which were amazing. Traveling again along the 61 we stayed the next night at Cascade River State Park. Again we hiked to great falls. On our way to our next campground, we stopped in Grand Marais at Hughie’s Taco House. They homemade flour tortillas that they fried to make like Indian Fry Bread. John had a pork taco and I had a fish taco. Here is the view where we sat and ate lunch. After lunch we treated ourselves with an ice cream cone from DQ. Our final reservation park along the 61 was Judge CR Magney State Park. 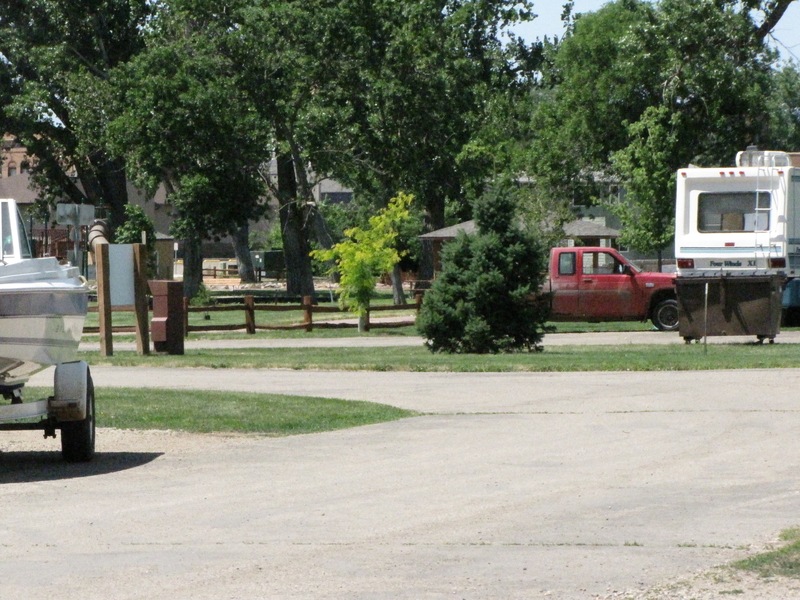 Nice park with no hookups; pretty good space between spots, but very few RVs, mostly trailers. But we heard of a great waterfall, so John, Sadie and I took off. Little did we know that it would be a mile both directions and 169 downhill stairs (which we had to go back up). But the falls were worth it. They are called Devil’s Kettle, a famous falls where half the river drops 50 feet and the other half disappears into a huge pothole. Traveling the 61, aka The North Shore Drive, is very picturesque. Lots of wildflowers like these. Our last night in MN we are staying at Grand Portage Casino. Great view site with full hookups for $32 a night. We found this on Day’s End. We wanted to stay one last night to get banking done online because when we enter Canada tomorrow, we won’t have cell service or internet unless we find a Starbucks or Library. So there will be no more posts for a couple weeks. Today we are visiting the Split Rock Lighthouse. There was also the story of the Madeira, which sank in Lake Superior. The only piece that they were able to salvage is the anchor. I don’t have any pictures but remember Gordon Lightfoot’s song, about the Edmund Fitzgerald? That ship sank here in Lake Superior, as well. They have a celebration at the Split Rock Lighthouse every November 10th where they do a Beacon Lighting. Following up on the last pictures from my previous post, here are explanation posters for the Edna G. Tugboat, Agate Bay Light Station, and Two Harbors Iron Ore Docks. Last night a big ship came in to get loaded with the taconite from the metal structure in my previous post. The dock blows a siren when the ship is coming in and when it is leaving. While docked you could hear the loading. We left the campground the next day and headed up the 19 and then East on the 2. Stopped in Grand Forks, ND to do laundry and get lunch at Panera Bread. Then we continued on the 2 to Itasca State Park This being another State Park we had to pay the $5 daily fee on top of the camping. While staying there we visited the Headwaters of the Mississippi River. From Itasca State Park we headed to Bemidji State Park, but along the way stopped in Bemidji to visit Paul Bunyan and Babe the blue ox. At the park where the statues are, there were 125 bicyclists on a Tour of Minnesota 300 mile ride. 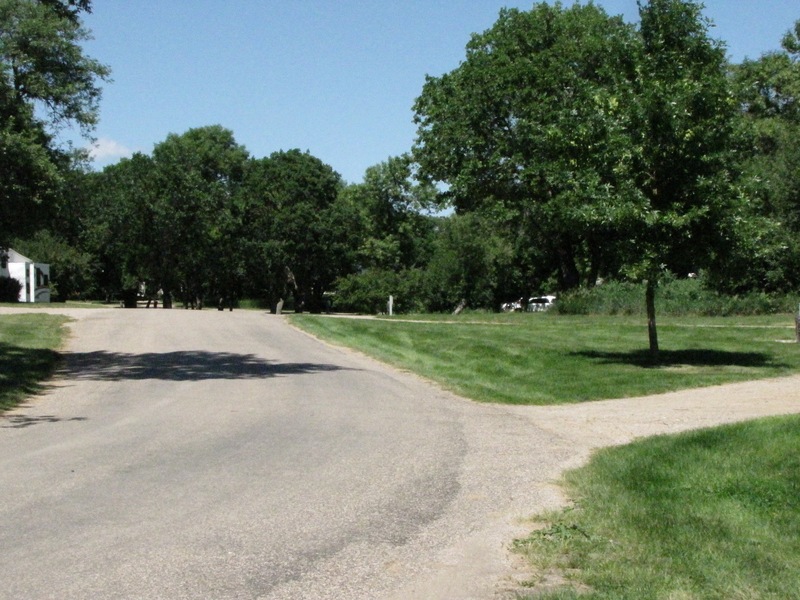 We liked Bemidji State Park better than Itasca, less crowded and spaced out better. Again we had to pay the $5 fee, but I got wise this time and bought the annual pass which was only $25. Since we are staying at least 5 more times at State Parks, it was worth it. We continued on the 2 into MN and spent the night at Pokegama Dam cg, which is a Corps of Engineers cg so with Old Folks Pass the price is $13. We booked for 2 nights and were enjoying it. Unfortunately on the second day someone pulled in next to us with a yippey dog that barked all the time and they did nothing to shut it up. So we left and went on to Itasca County Fairgrounds. You parked on a big lawn area and it was $25 with no hookups and $30 with 30 amp hookups. On the last picture you can see John on top of the rig checking out the Dish Satellite. He found it was missing 2 screws so he is up there fixing it. We traveled on the 2 to the 61 to Two Harbors. On Day’s End we found a city park called Paul Van Hoven Park. It is free and there is lots to see around here. There is the Edna G. tugboat, a metal structure that in the old days transferred tactinite to ships, a railroad and other things. Edna G. Tugboat, Lighthouse, Train Station, Taconite loading metal structure and our camping spot. Well, it’s time to start my blog again. Over the past year we have just been going from CO to CA and back again. 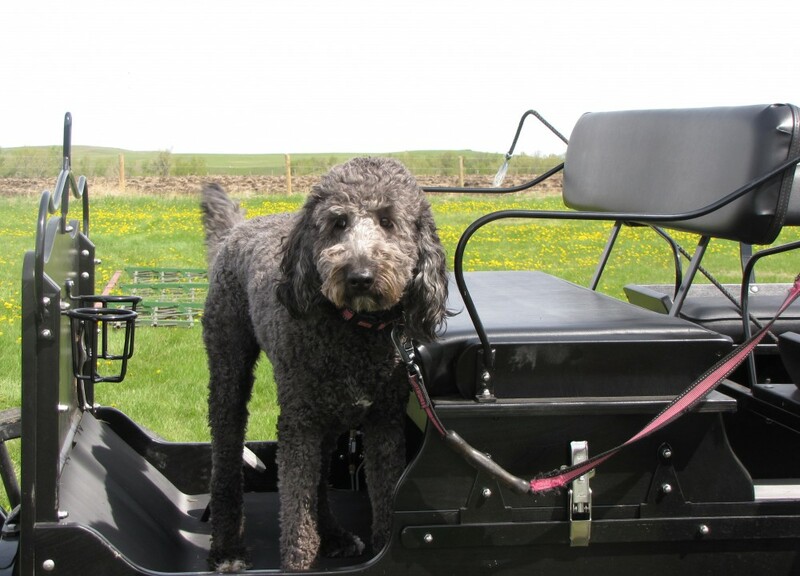 But now we are starting on a trip East and will catch you up on our travels. 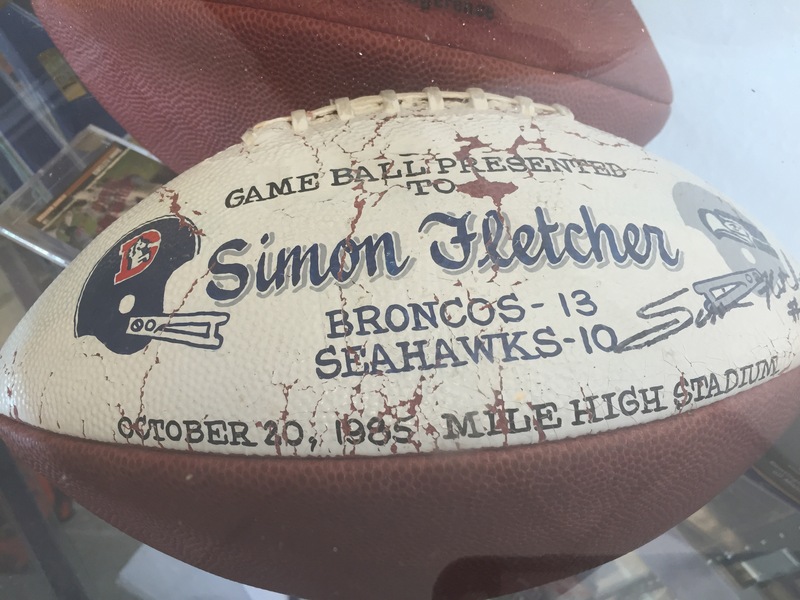 We left CO on June 16, 2016, and our first stop was at Simon Fletcher’s Grid-Iron Gill and BBQ, in Ft. Morgan, CO. Simon Fletcher is a retired Denver Bronco player who holds the record for the most sacks. This year he was voted into the Ring of Fame. 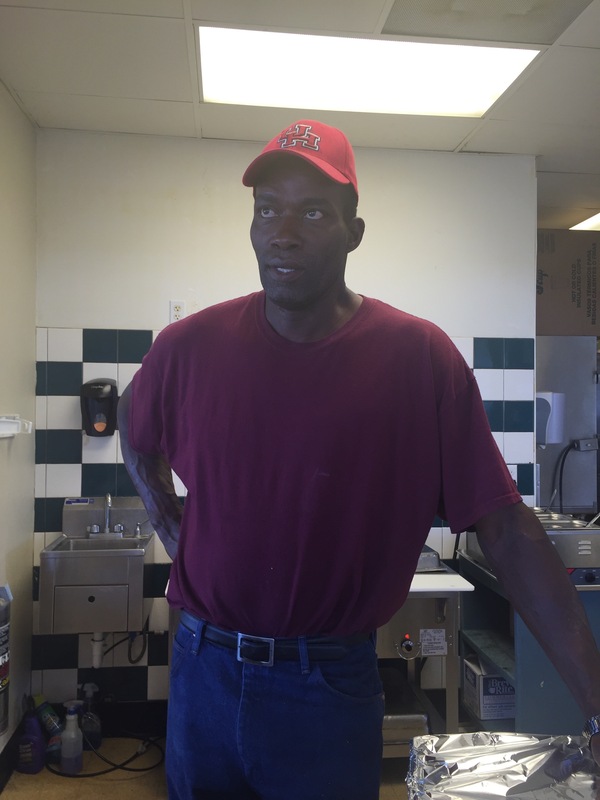 We enjoyed a great barbeque lunch with him, and heard some about his years with the Broncos. 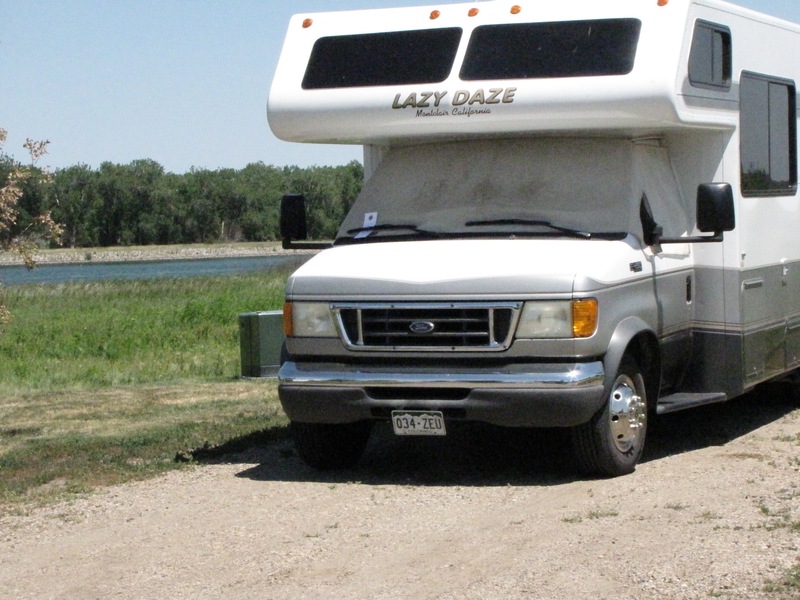 On the CO-NE border we stayed in North Platte, at a Passport America cg called I80 Lakeside Campground. It was right on the river, with large spots, and was only $13.56, with full hookups. We continued on Hwy. 83 through NE and then into SD. The road through NE was very scenic and a nice drive; into SD the road was wash board, but still scenic. 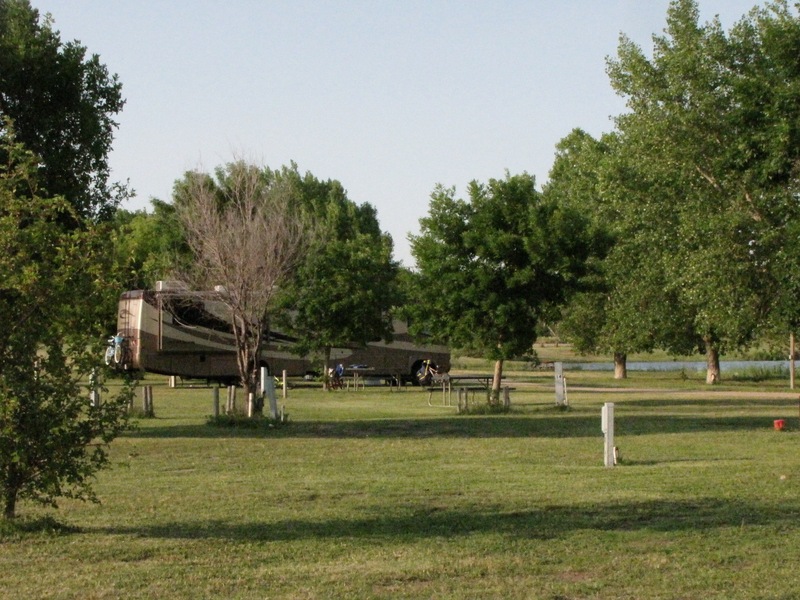 We spent the night in Ft. Pierre, SD, at Fischers Lilly Park Campground. We got the last of 12 full hookup sites for $10.00. We found this place on Day’s End. It was a very interesting place; all spots seem to be people living there for the season. 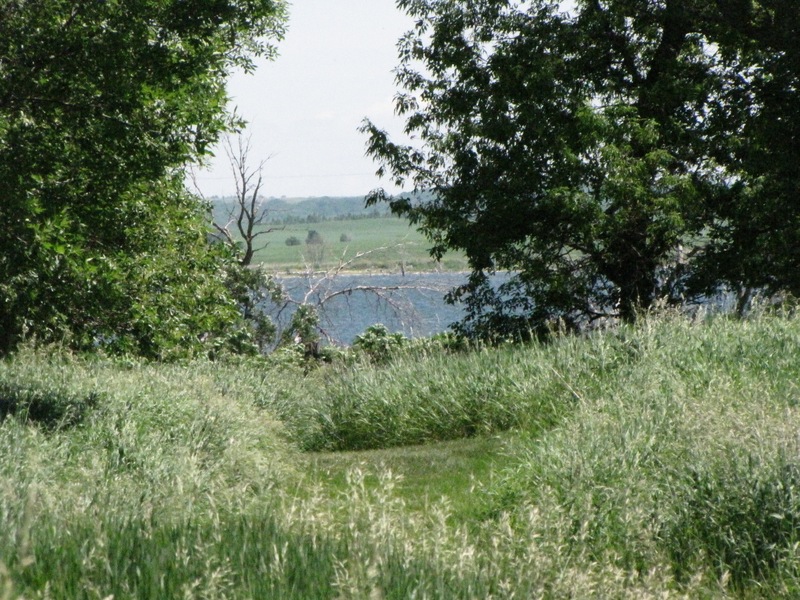 Continuing on into North Dakota, on the 24, it was a nice and scenic road. We tried 2 campgrounds along this route and they were completely full so we ended up at the Cenex Travel Center in Sterling, ND. We again found this on Day’s End.. They had two electric hookup sites behind the gas station and they only charge $5 – what a deal. Not much, but quiet and peaceful since it was set quite a ways back from the station. We continued driving through ND and got on Hwy. 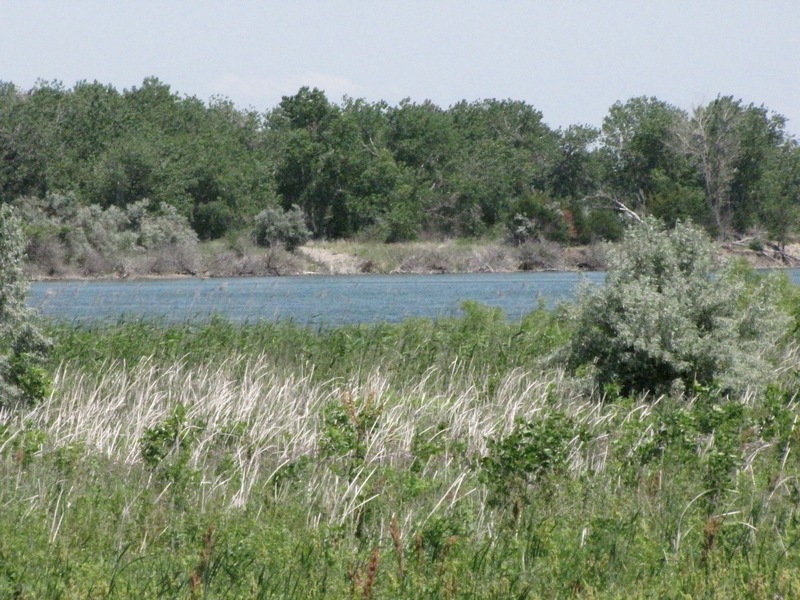 19 East to Grahams Island State Park. We decided to spend 2 nights here because it was really nice. 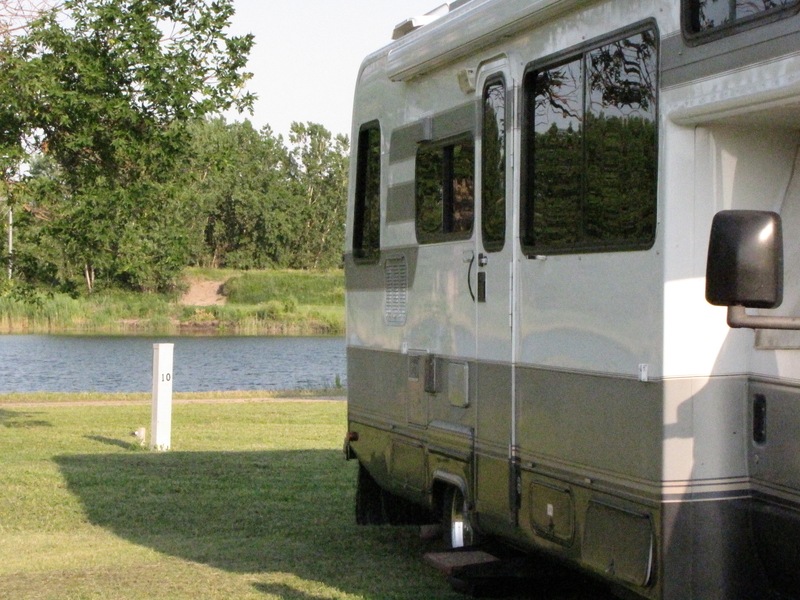 It was a little pricey because you have to pay a vehicle fee of $5 in addition to the camping fee. So for the 2 days we paid $55, but it did include full hookups.